Short and sweet this time. While March has been a quiet month for training, it’s been one of my busiest yet. I don’t want to say anything too much about it yet (other than to a couple of choice individuals – feel free to feel honoured as I’m sure you do!) 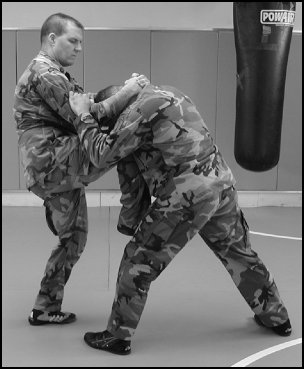 but suffice to say there’s a project underway that will be very interesting for anyone interested in self-protection, and probably other forms of combat as well (martial arts, sports, etc). It will be online, community-driven and completely free. I’ve also been exploring some extremely interesting collaborative opportunities with other instructors, as collaboration really is the only true way forward in combat instruction. At least, from my current perspective it is! That, as always, could change if evidence supports. More fresh content is on its way! Just a quick announcement that the forum is now online, at http://cspsonline.proboards.com (also buttoned at the top of this blog) – of course, it’s free and you don’t have to be a CSPS member to join (but if you are then send us a PM to prove it and we’ll put your grade in your custom title for awesomeness) or even a martial artist/self-protectioner (is that the term? No idea, well I guess it is now…) to join. Most of the discussion is of course focussed on combat, but there’s a general section and everything too. There’s a public board as well that you don’t need a registration to post in, because we’re that thoughtful.